When you’re decorating a bedroom, it’s hard to go past the linen as the most important statement piece. We’ve found the most gorgeous bedding not just for cots, but for single beds and king singles too. 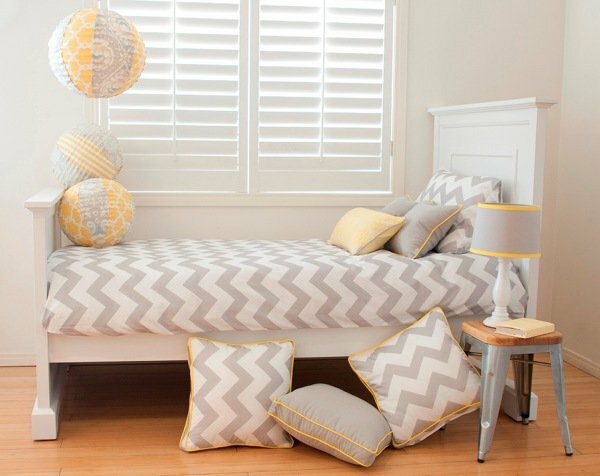 Here’s our roundup of the bedding currently making our hearts beat a bit faster. 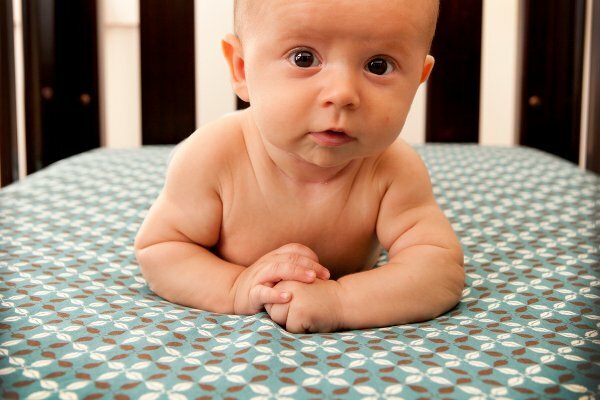 The simple but innovative new cot linen called Skip Hop Complete gives you a lot of bang for your buck. 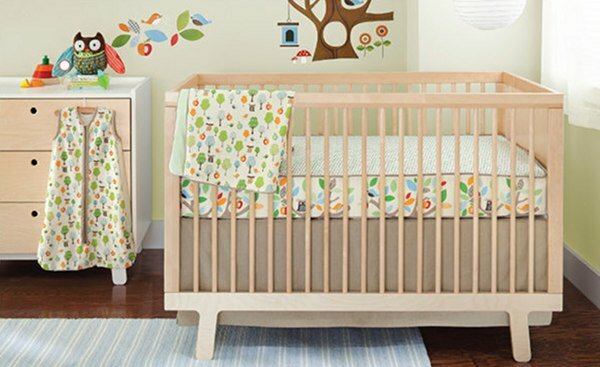 The patterned, contrasting side panel achieves a cot that looks dressed up, without the need for bumpers (and they fit better than bumpers too). We love them because at $39.95, they are beautiful and economical. Five of the beautiful designs in the range can be picked up from Urban Baby. They will fit standard sized cot mattresses. 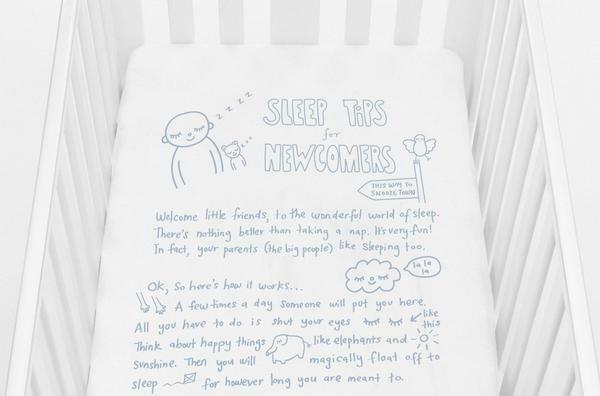 My hands down favourite in the new line of cot linen from Bed Toppings is this instruction manual on sleeping. Because let’s face it – cot linen is really all about adult appreciation, and if these ones give you a little chuckle (even an ironic one!) as you put an unwilling child to bed, that’s money well spent in my book. If only it came in preschooler size – I think my family could expand the market significantly. The fitted cot sheets from Bed Toppings will fit standard and Boori cots, and are $60 with free delivery throughout Australia. Kids love to kick off covers. Parents don’t love to go back in and fix it at two and three in the morning. The problem has been solved by the team at BedSOK, with their innovative stretchy and enclosed sheet sets which we’re sure will also appeal greatly to kids who love sleeping bags. In fact, it might even solve my recent problem of a seven-year-old insisting on sleeping on a hard wooden floor with his sleeping bag because it’s more fun than sleeping in the comfortable bed. The BedSOK comes in cot ($79.90), single and king single sizes (both $89.90). We were thrilled last year to see the range from Kate Lauren Designs expanding from cot linen to sheet sets and quilt covers in both single and king single sizes. The pretty and modern range of bedding includes a good smattering of unisex neutral options as well as classic pastels. Cot sheet sets start at $139.95, with single bed sets for $200 and king single sets for $220. The range includes other items which are worth a look and you can check it all out at Kate Lauren Designs. Even more options for cots, singles and king singles are at Love Mae, with a bedding line made from super soft organic jersey cotton. The cot size will fit standard and Boori cots. At the time of writing, all the bedding at Love Mae is half price, which means cot sets from $55, single sets from $80 and king singles from $100! The increasing trend away from small scale pastels towards decor that really packs a punch had us really appreciating the bedlinen from Marimekko that we reviewed last year. 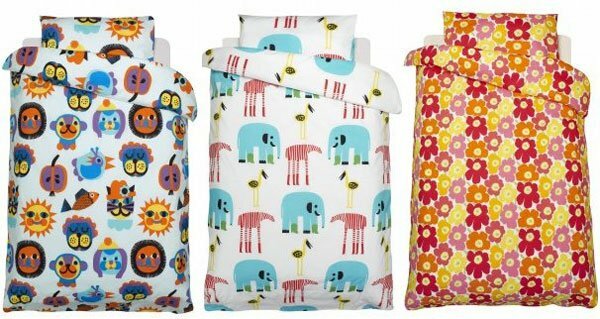 Children’s bedding should be fun, after all, and the gorgeous, bright and bold designs from Marimekko certainly fit the bill. You can check out the collections online at Marimekko. Of course, this is a roundup with limited space, so there are many more beautiful bedding items we just couldn’t include. But you can read them all by looking at our past posts on linen.